Personalized Fish Address Plaque - - solid granite address or welcome plaque with a fish logo, including salmon, marlin, shark, and whale. Plaque is made with solid granite and features your choice of shape, granite color, letter/logo color, font style, and logo. Fish logo is the same color as the letter color you select. Please type your text exactly as you want it to appear. You can use both upper and lower case letters. Letter colors: black, white, mocha, gold. Logos: salmon, marlin, shark, whale. 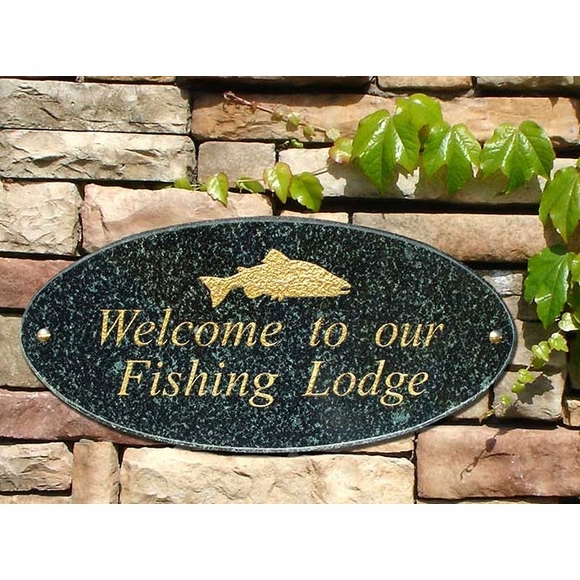 Solid granite address or welcome plaque with a fish logo.